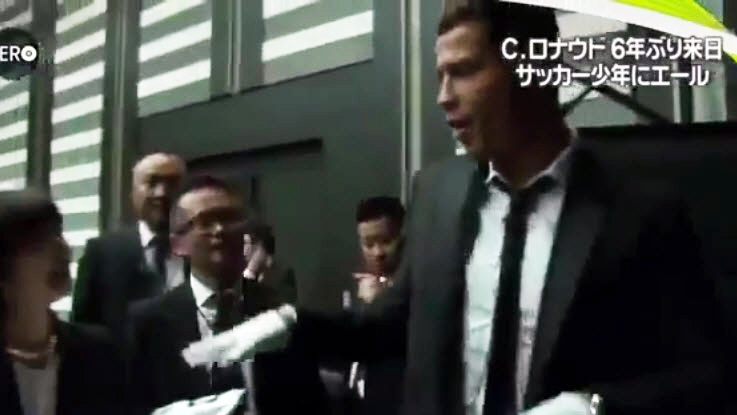 Portuguese soccer star, Cristiano Ronaldo, was recently lucky enough to be on a Japanese game show where he gave us a little Michael Jackson impersonation. The Vine clip below shows the hugely popular Cristiano perform a little move that Michael Jackson was often seen doing. He simply takes his hand, which happens to be rocking a glove, and performs a little hand wave. Now why he would do it? It looks like it may be a mystery to why he decided to whip out the MJ moves, but maybe his trip to Japan wouldn’t be complete without busting a move.